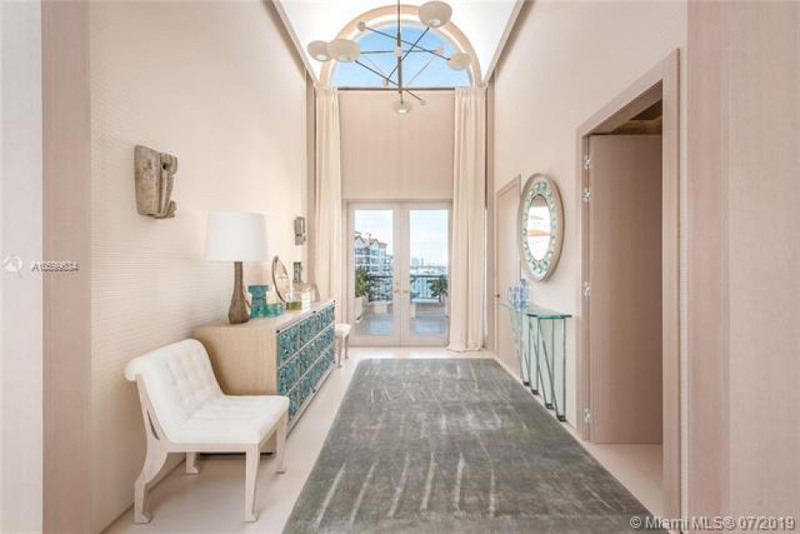 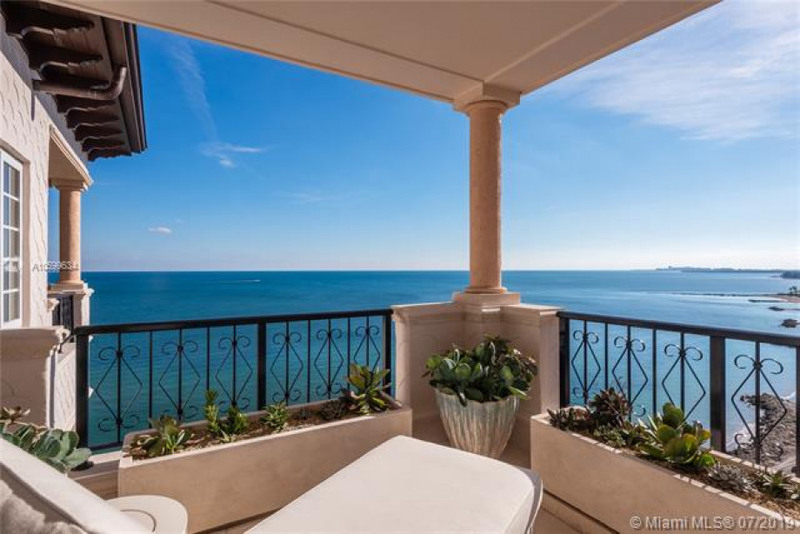 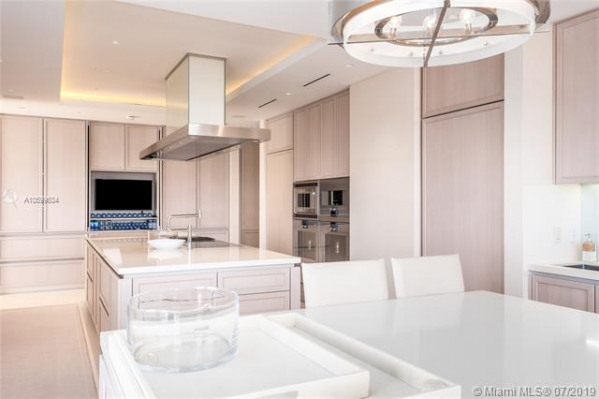 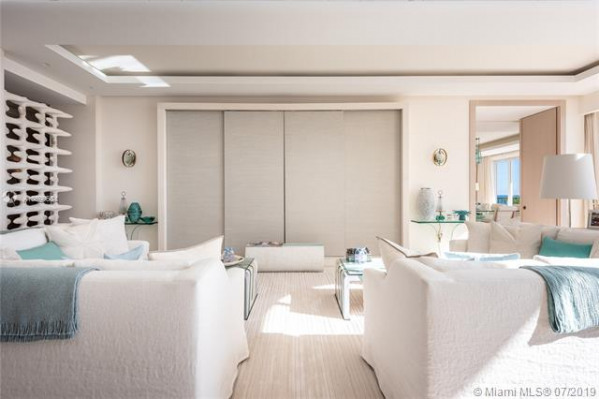 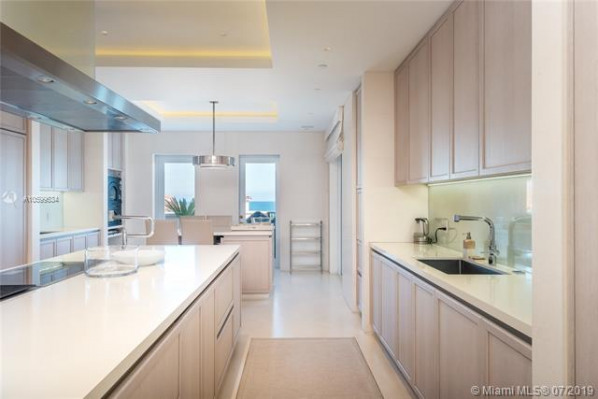 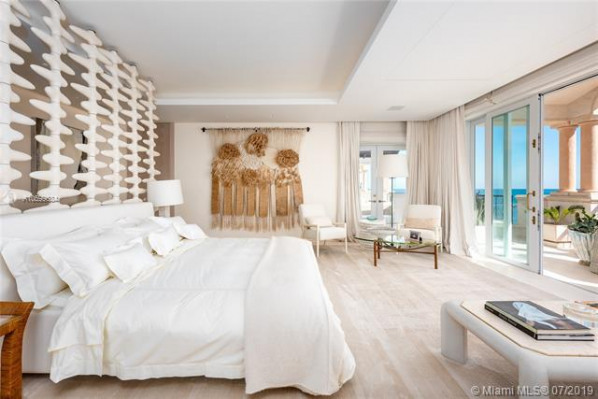 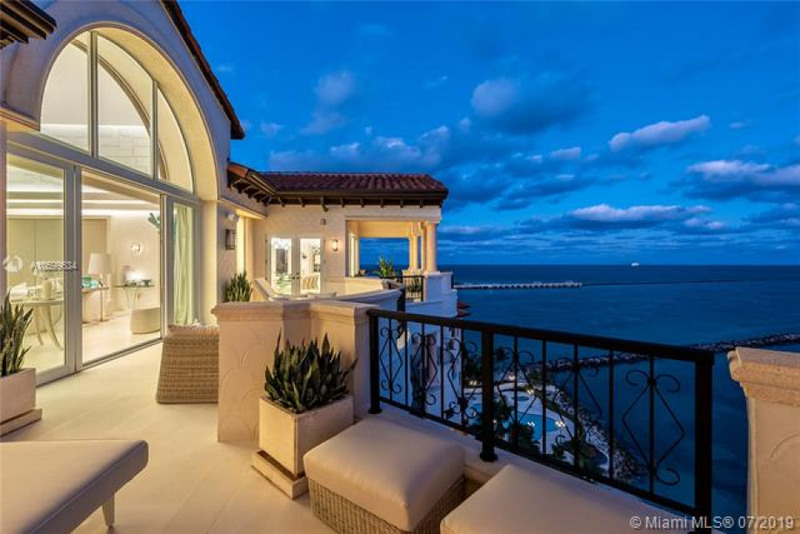 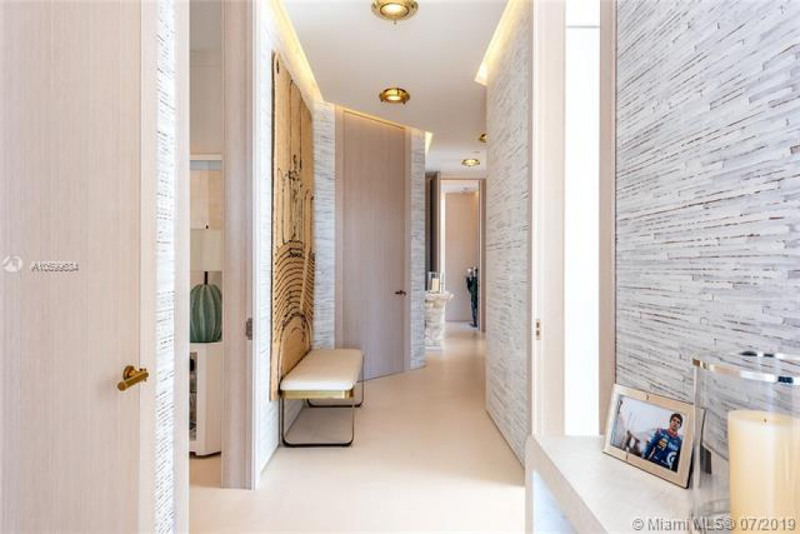 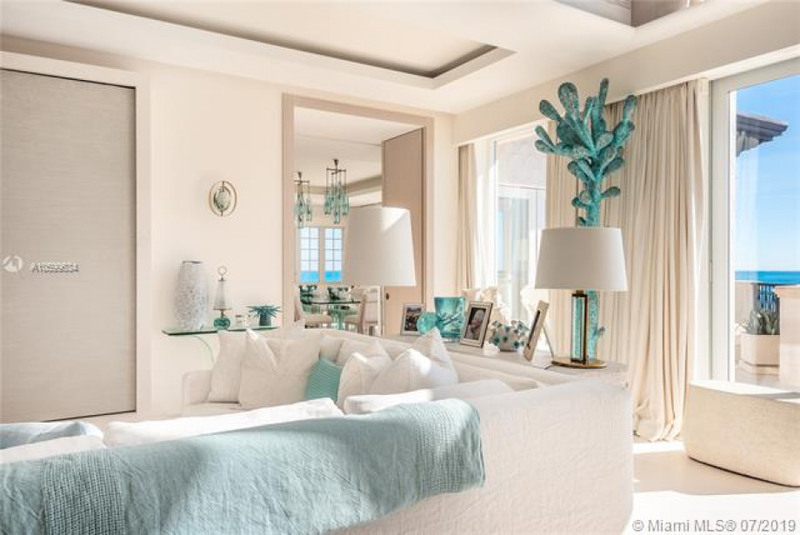 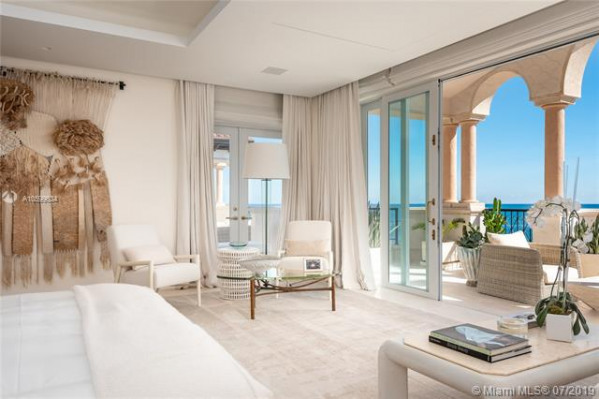 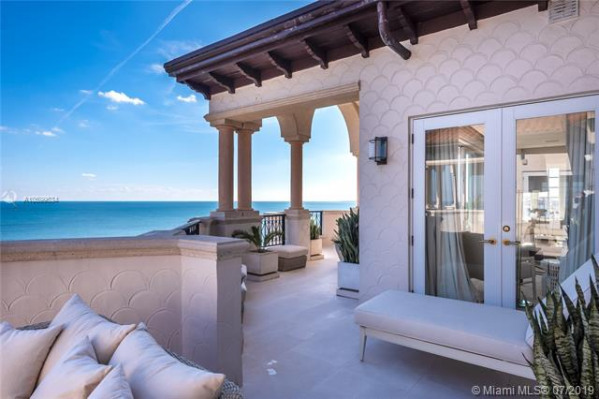 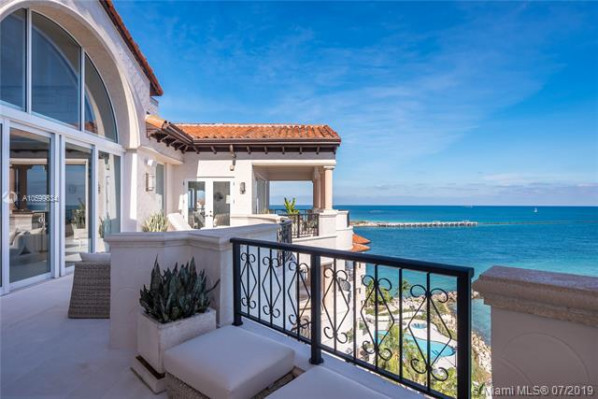 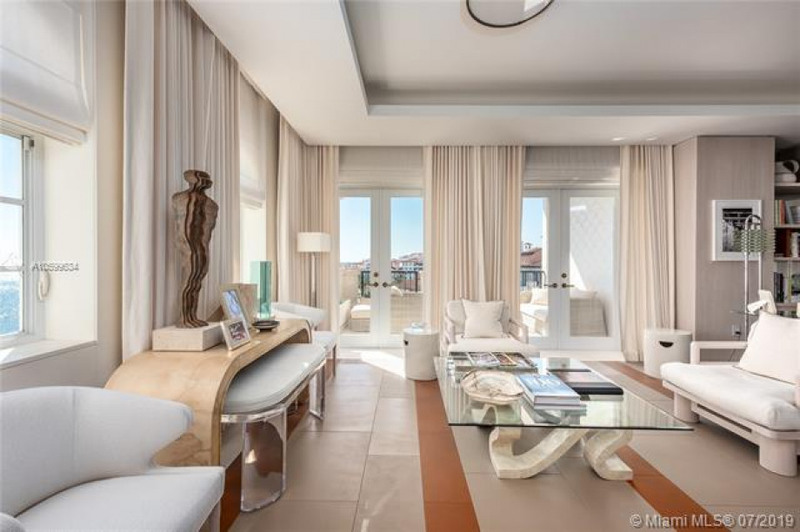 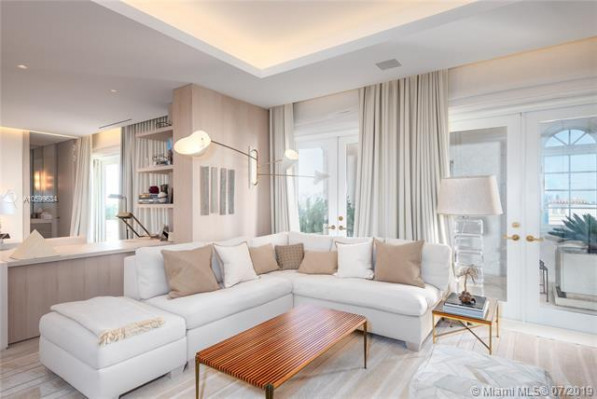 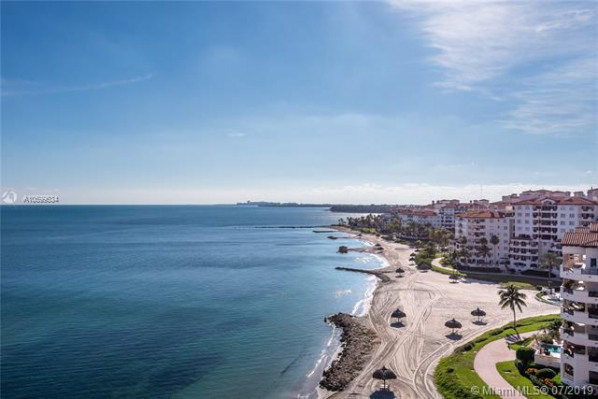 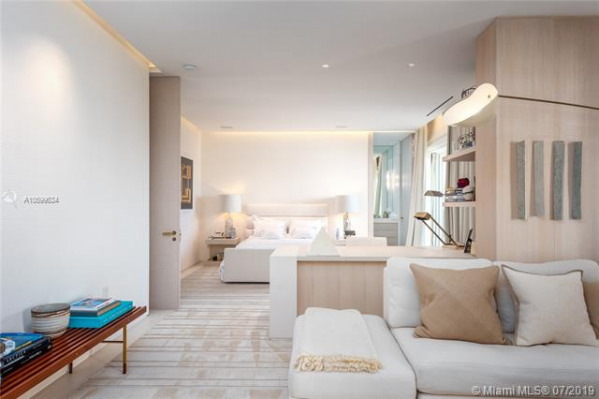 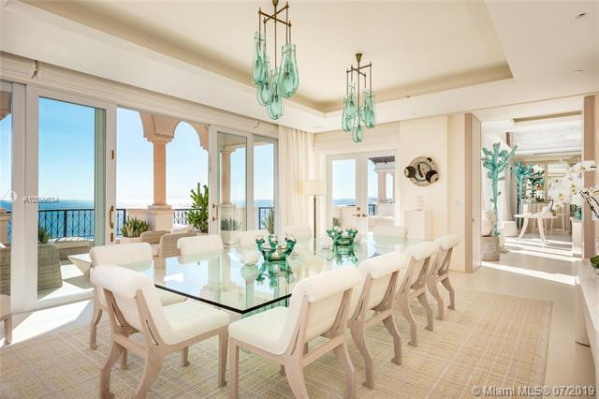 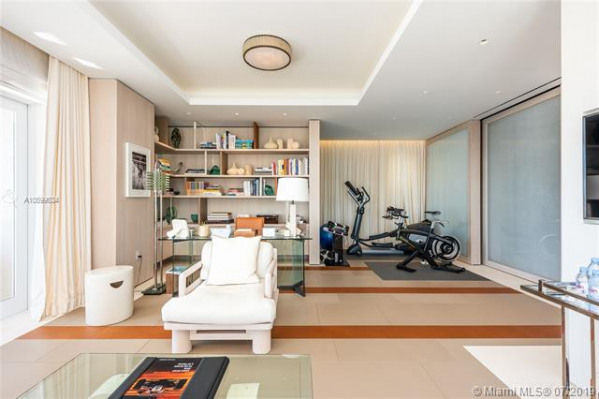 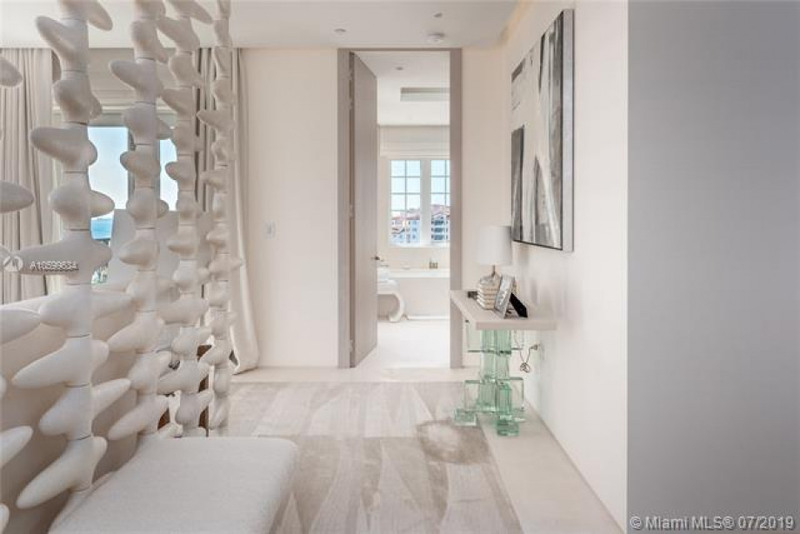 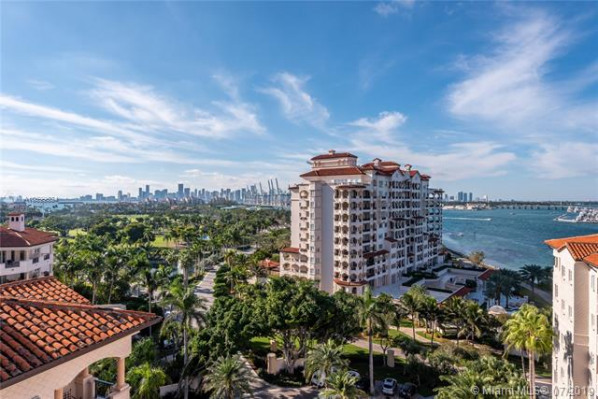 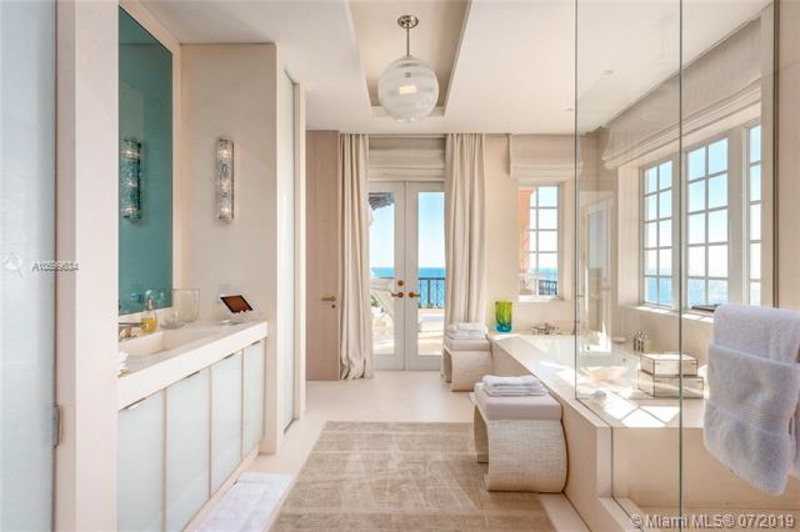 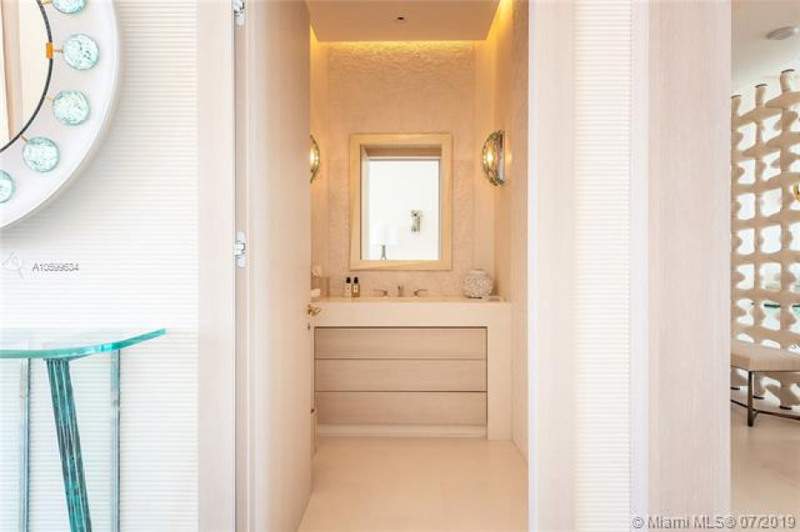 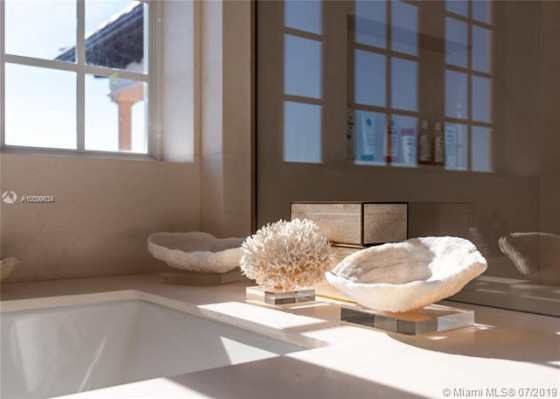 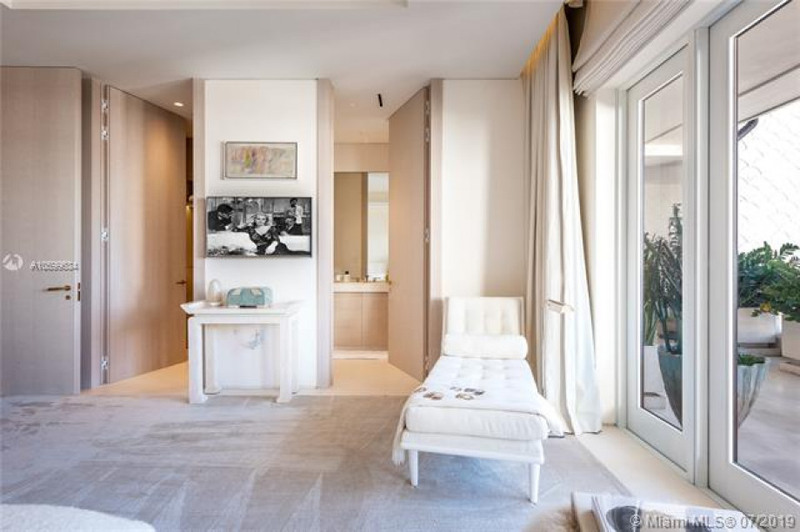 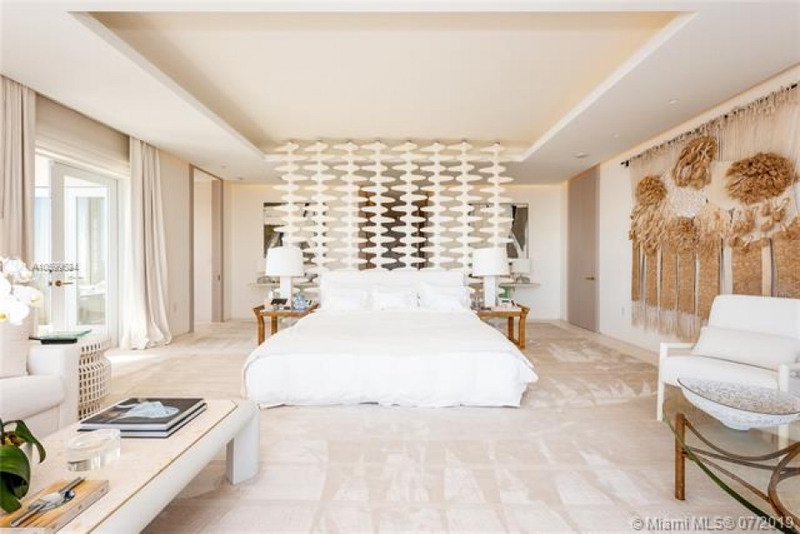 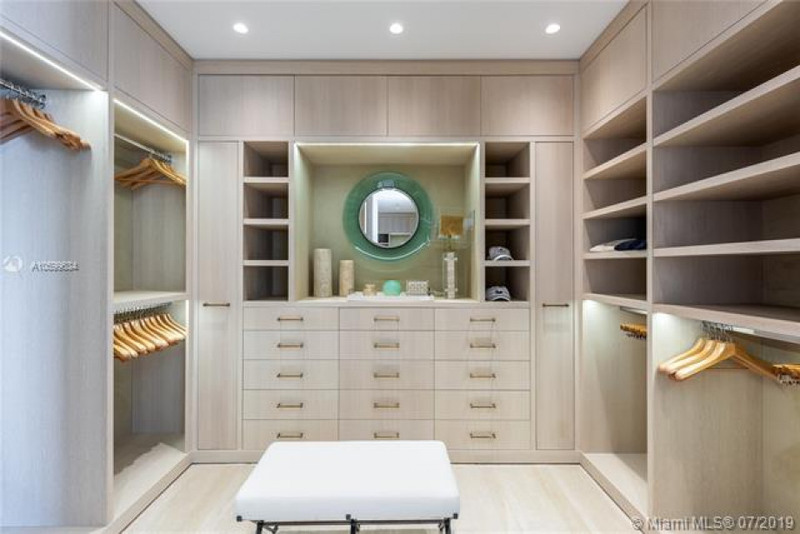 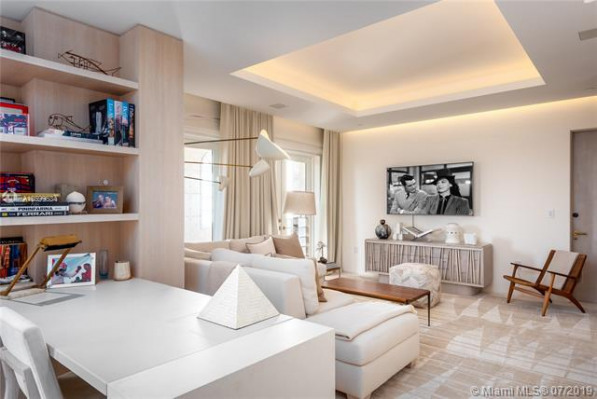 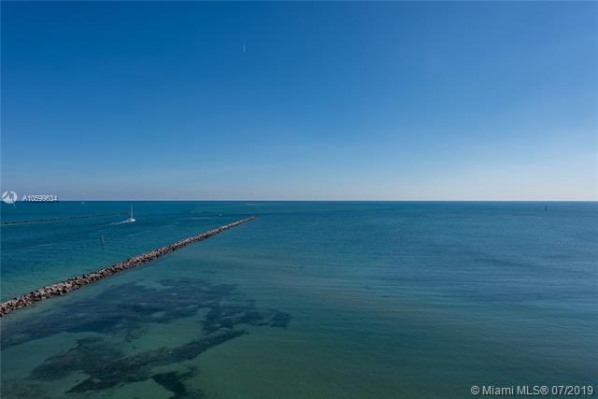 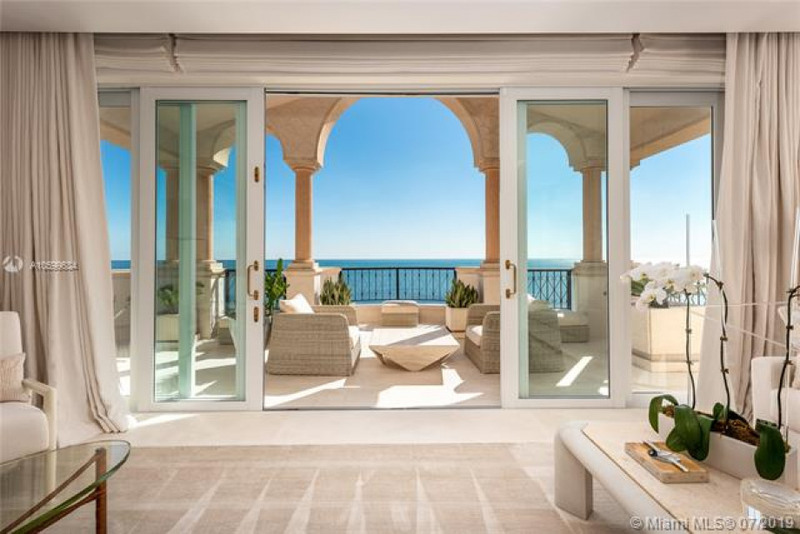 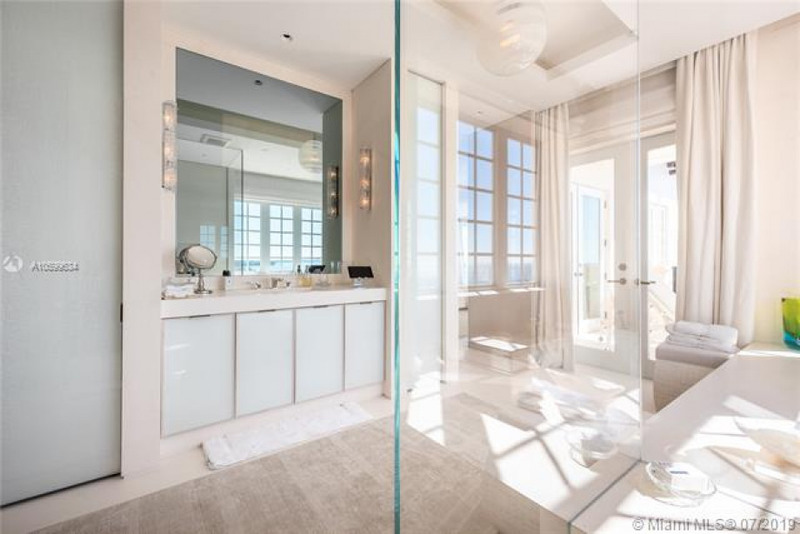 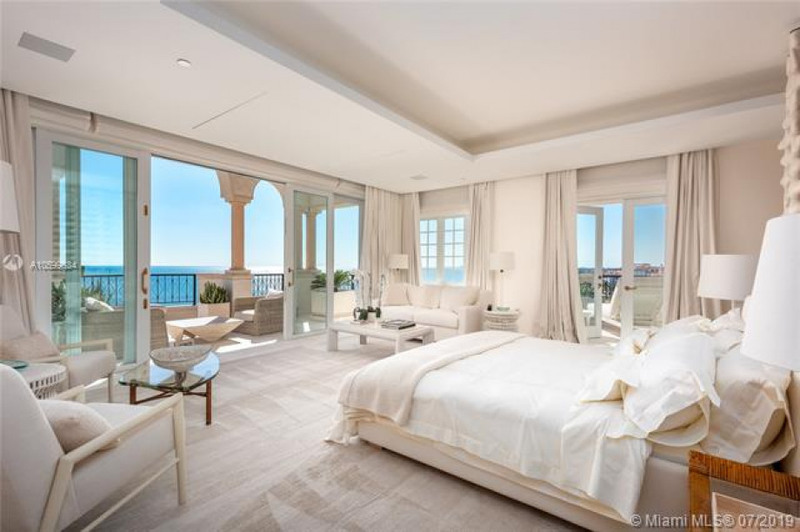 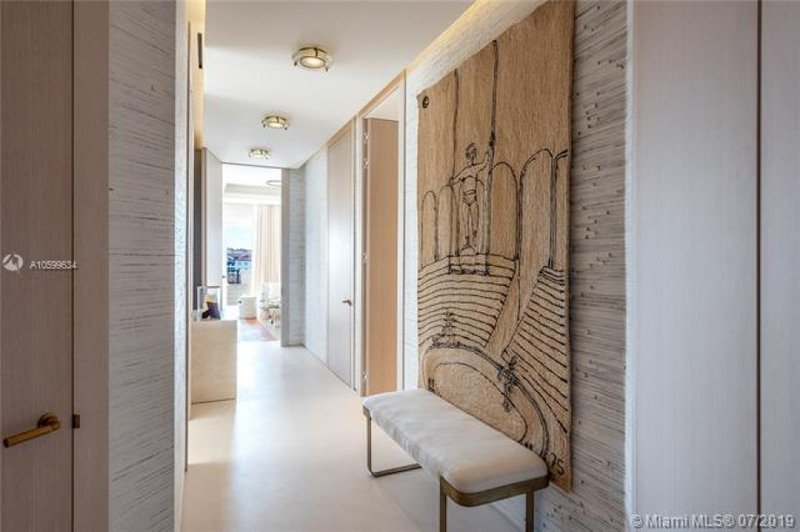 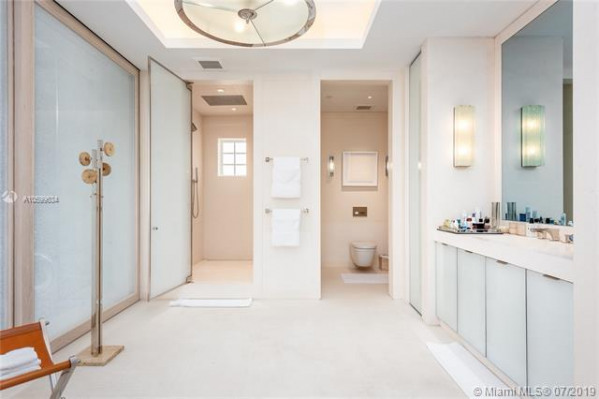 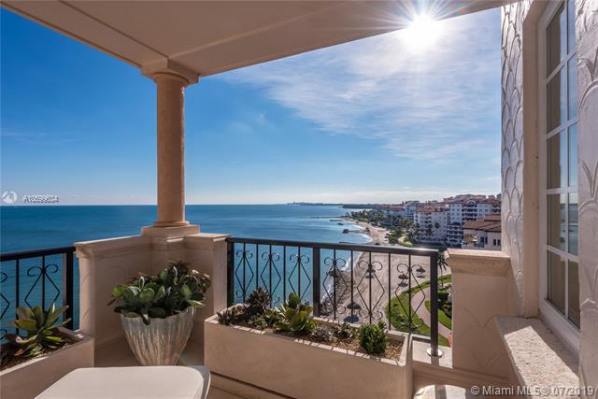 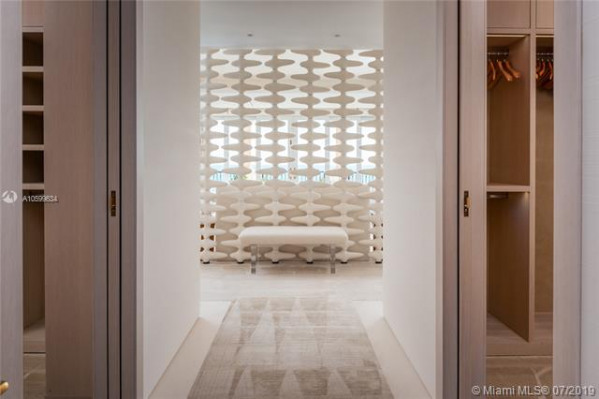 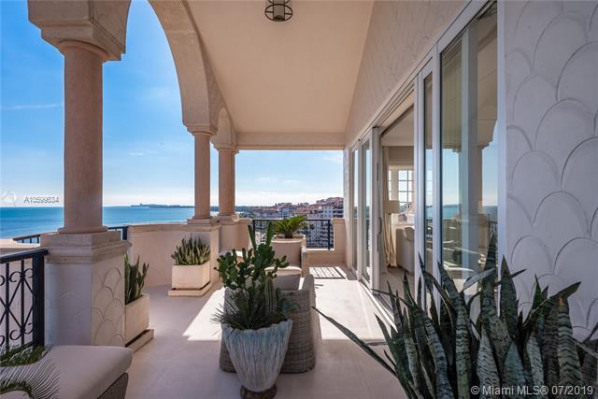 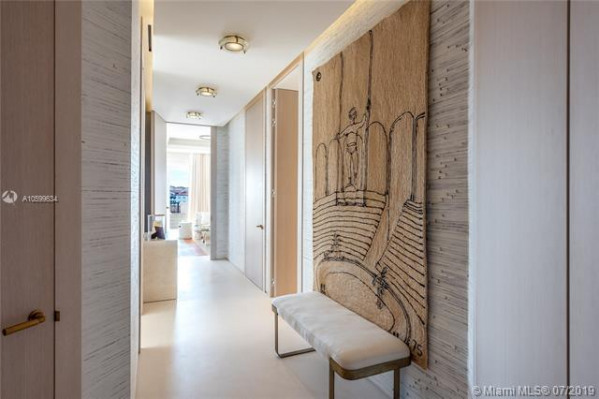 SOPHISTICATED OCEANFRONT TROPHY PENTHOUSE SITTING ATOP THE BEST POINT ON FISHER ISLAND & IMPECCABLY CURATED BY HAUTE PARIS DESIGNER - CHAHAN MINASSIAN! 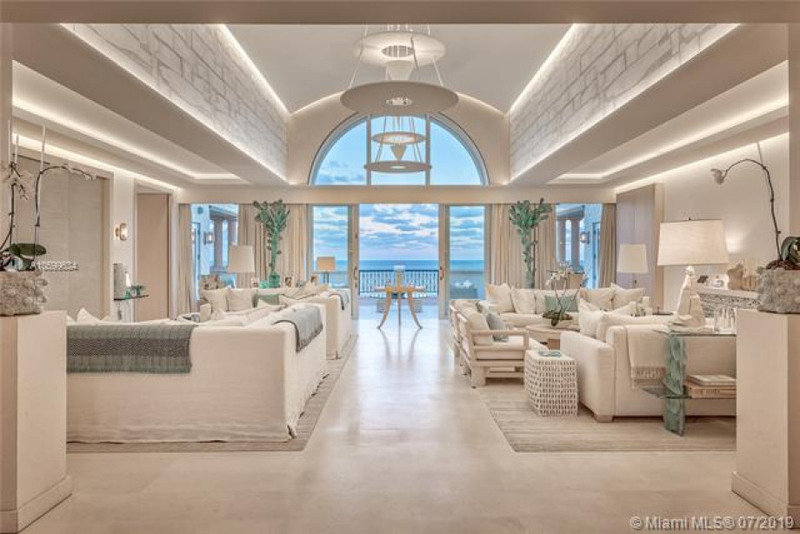 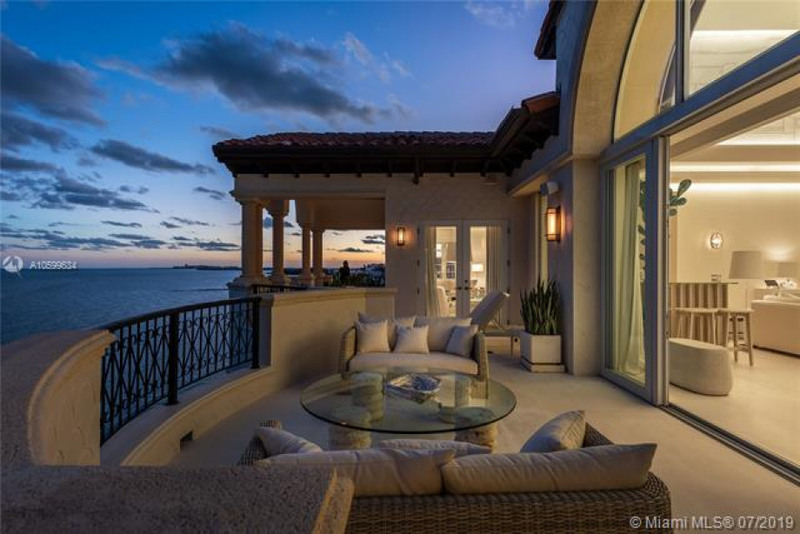 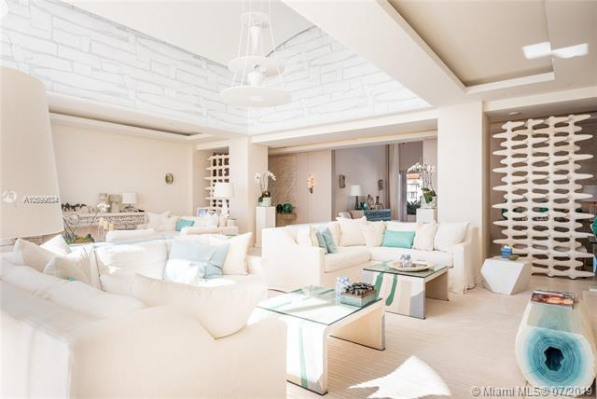 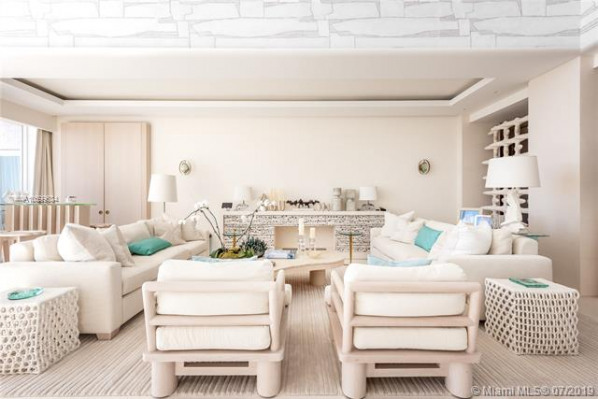 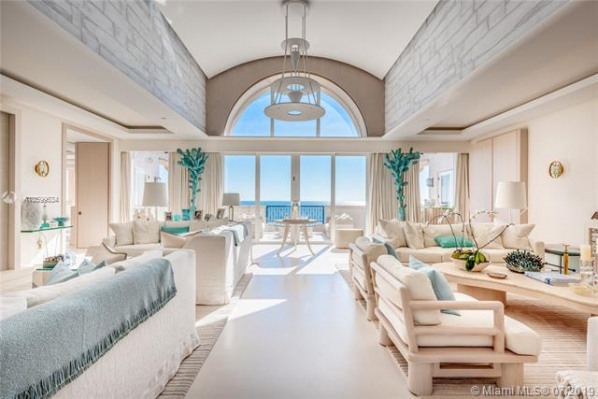 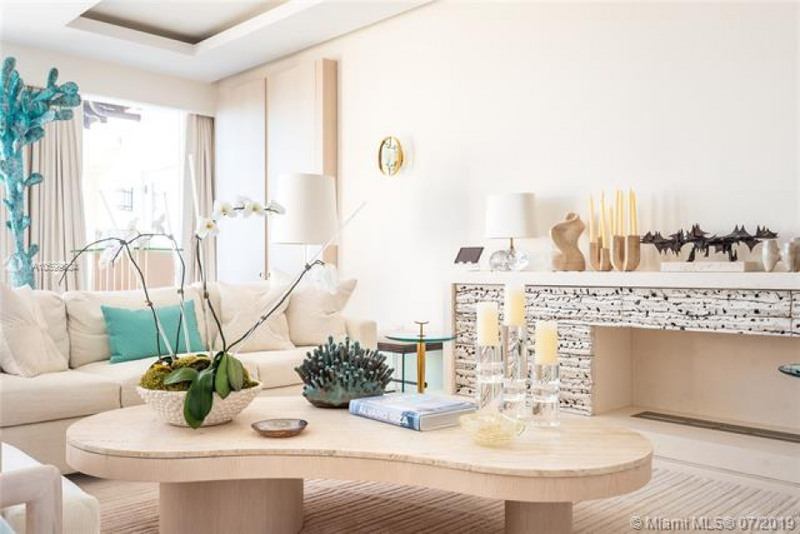 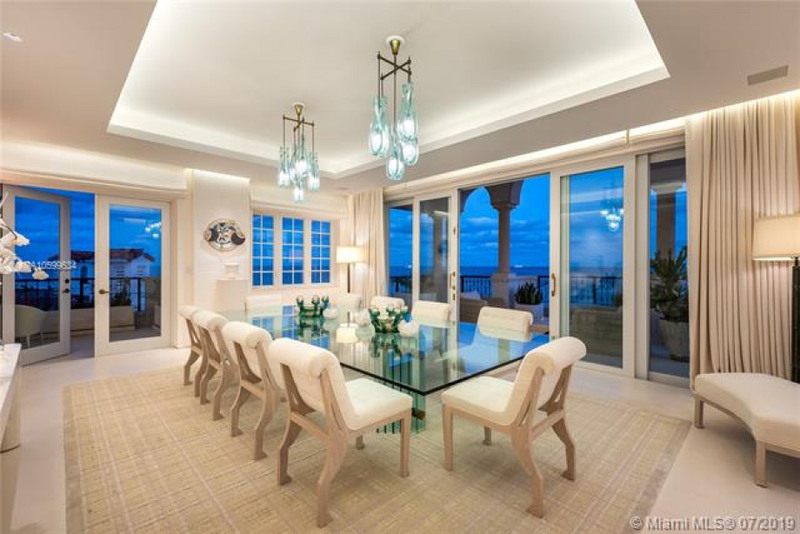 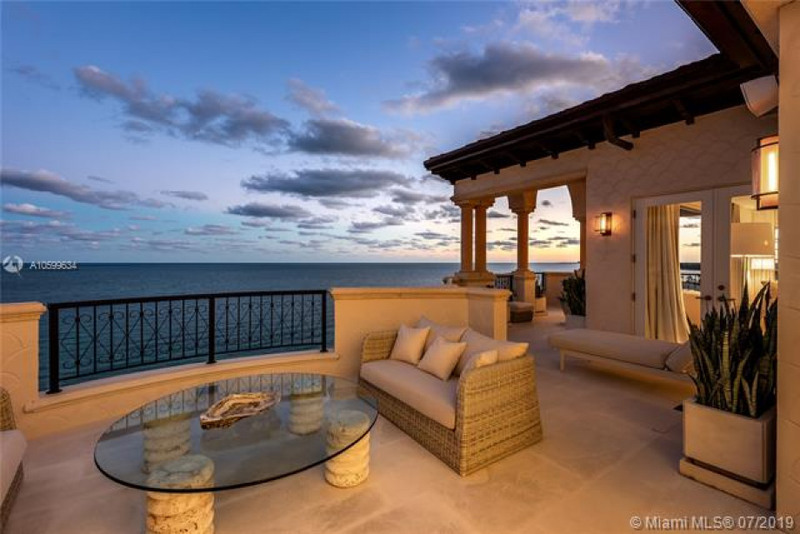 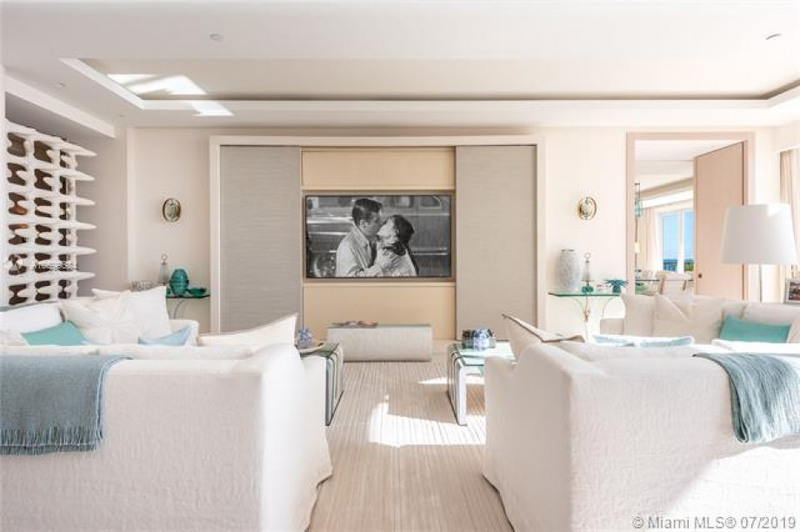 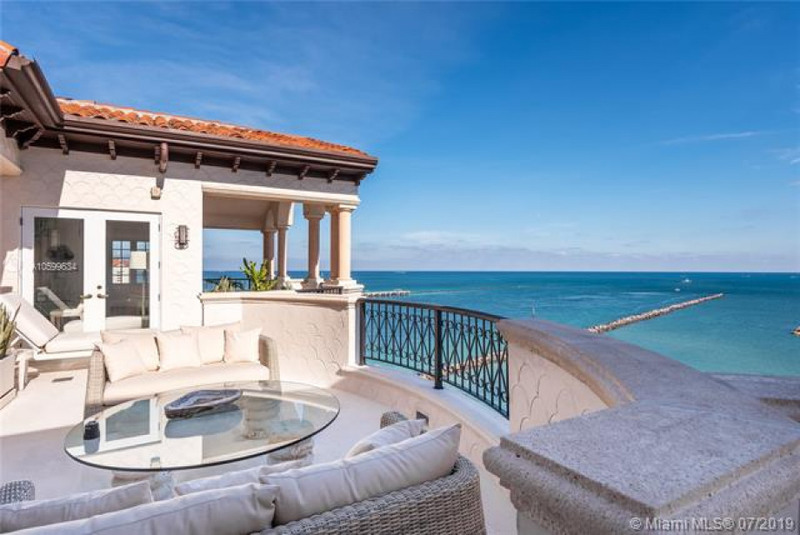 Enter the Ultimate Entertainers Living Room covered in Tones of Ivory & Cream w Expansive Unobstructed Atlantic Ocean Views. 20 FT Arched Ceilings rise over Living Area w Elegant yet Relaxed Weathered Linen Furnishings, Fireplace & Bar, Leather Upholstered Walls. Large Master Suite w his & hers en-suite bathrooms & dressing rooms, office & gym easily converts to Bed 4. 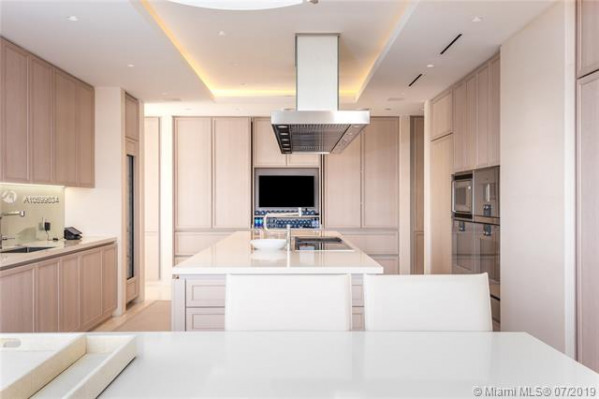 Oversized Kitchen for in-home dining & chef's cuisine w wood burning oven. 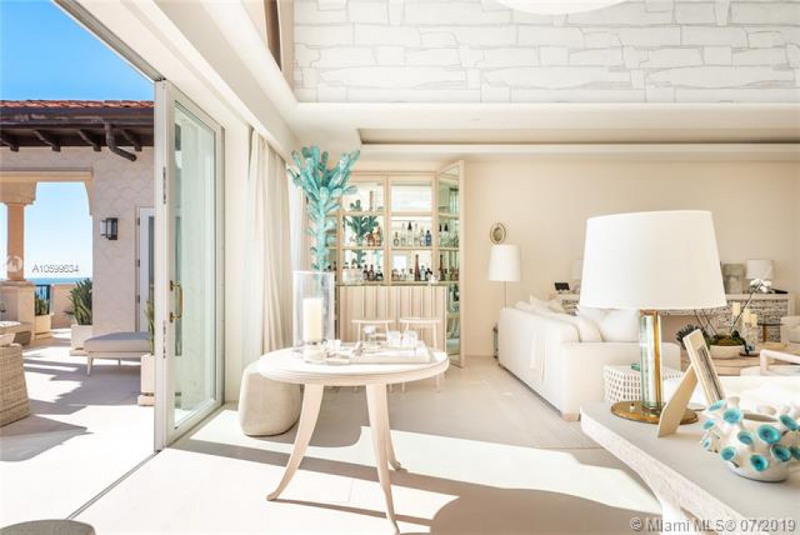 Hand plastered walls, artist commissioned screens & hand-painted subtle frescos wrap the finest selection of collectors furniture & lighting. 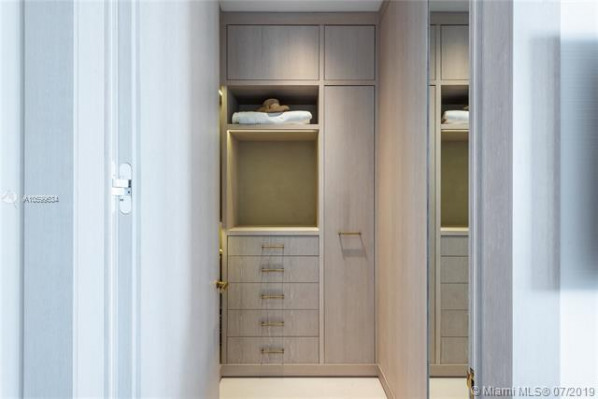 Parking for 2 cars & 2 golf carts + 2 storage spaces.